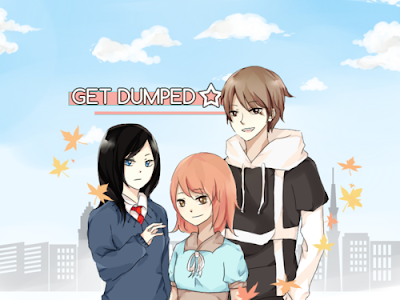 Initially, I thought that the girl with black hair was the 3rd party in the heroine's relationship, but its not the case~ And yes, like the title of the game, you gonna be dumped by the guy in the game. The true end starts with the rest of the ends being a dream. And I hated Arashi before the true end, he was such a (*@)#$# in the other ends XD I kinda wish that the heroine was more brave and all. But I kinda think the heroine is a stalker because, if she appeared to be a stalker in one of the endings.......and its a dream.....so in order to dream about it......SHE HAVE TO BE A STALKER!! Which means.........we are all stalkers (¬_¬) cause we played as the heroine. all of the endings are bad endings only, I got desperate finding the good ending =="
none of the endings are good, you get dumped in all. but once you go through all of the really bad scenarios, you break up in a more peaceful way, and find out why he wants to. But how does he want to?